For the love of life: Virtual Cookie Swap! Cookies anyone??? 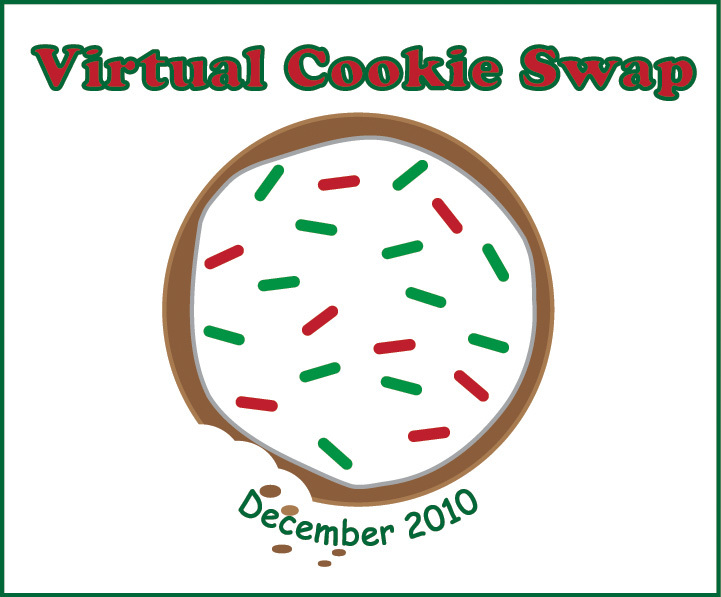 Virtual Cookie Swap! Cookies anyone??? Hi everyone, hope you are having a lovely day. With Christmas just around the corner, it's COOKIE TIME!!! Boy, do I love to bake??? I don't really bake during the year that much, but I so look forward to Christmas time for this reason. Our family has our favorite cookies. We love gingersnap cookies, and I have a fabulous recipe for that from my ex MIL, and they are yummy. 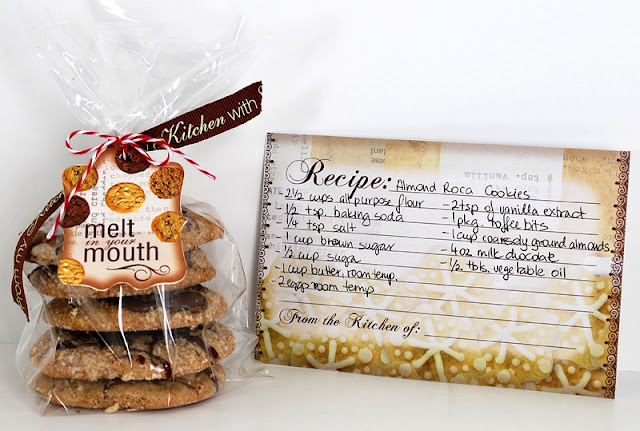 I also love to make Butterscotch Oatmeal cookies that are always a hit with my son especially. 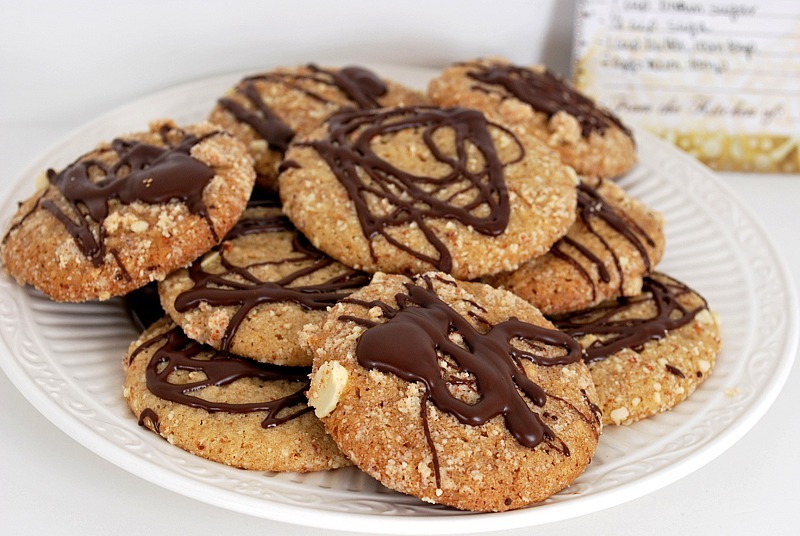 Than there is Snickerdoodles and last year I added the almond cookies that just melt in your mouth. 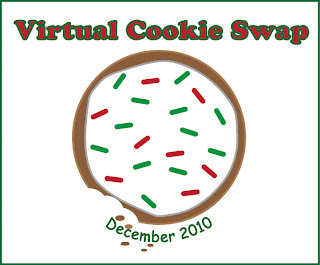 I got a sweet email from AJ a couple of weeks ago inviting a few ladies to do a Virtual Cookie Swap. I know a lot of people, who do actual cookie swap, but since we don't live nearby, this was the next best thing. I love to learn about favorites of other people, so I said, sure I will participate! And I went on a search and found the cookies that I am sharing about today. I actually found this recipe in the Unity Forum and it peeked my interest since I love Almond Roca candies, and it had rave reviews, so here are my cookies..
Don't these look YUMMY???? Well, they do taste INCREDIBLY YUMMY, too. Michael had to take some to his boss, as he brought in some amazing cookies a while back to work, so he thought he would take some in as well, so I decided to wrap it up nice. The funny thing, his boss asked, if I had a bakery??? LOL Here is what my little cookie package looked like along with my recipe card. Ok and of course you want the recipe and here it is. 2. In a medium mixing bowl, whisk together flour, baking soda, and salt. Set aside. In the bowl of an electric mixer, blend sugars together on medium speed. Add butter and mix to form a grainy paste. Add eggs and vanilla and mix at medium speed until light and fluffy. At low speed, slowly add the flour mixture and then the toffee bits. Mix until just blended; do not over-mix. 3. Place ground nuts in a small bowl. Using hands or small scoop, roll balls of dough into 1 to 1 1/2-inch balls, then roll in the ground nuts. Place on cookie sheets several inches apart. There is no need to flatten them. Bake approximately 20 minutes and then transfer cookies to a cooling rack. 4. Melt the chocolate with the vegetable oil in a double boiler or in a bowl set over a pan of simmering water. Drizzle melted chocolate over cooled cookies. Place cookies on a cookie sheet and place in freezer or refrigerator until chocolate is firmly set. Store in tightly covered container. Now, are you ready to see some more cookies and recipes??? Here are the participating ladies in our little Virtual Cookie Swap. Well, I can't wait to see what everyone made!!!! Hope you enjoy our little cookie swap!